We should strive to be above reproach, not only before God – but also in the eyes of a watching world. ECFA is here to help you do just that, through our church certification program and learning opportunities for staff and lay leaders. 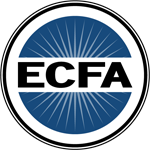 The ECFA seal is a recognized symbol that strengthens your witness and enhances trust with givers. 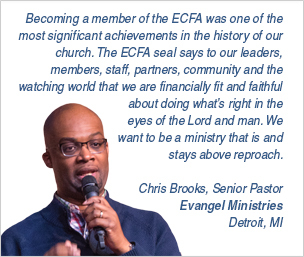 Becoming an ECFA-Certified church has many benefits – especially for larger churches. Learn how your church can demonstrate integrity, accountability, and transparency. ECFA provides outstanding learning opportunities for churches through webinars, ECFA Resources and the church knowledge center library.